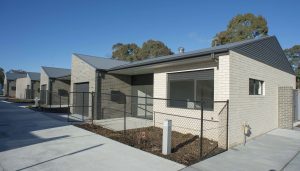 20 new public housing dwellings have been formally handed over to the ACT Government. The townhouses are the first Public Housing Renewal Taskforce construction projects to be delivered to Housing ACT. Following the unfortunate postponement of the Weston Creek Community Council monthly meeting at the Raiders Club a meeting has now been arranged for Thursday 6 April. This meeting will be held in a larger venue at Chapman Primary School starting at 7.30 pm. The school should be approached from Perry Drive and entered through the large double gates. It is anticipated that a number of MLAs will attend to hear your comments.